Seoul, South Korea (CNN) A South Korean court has found former President Park Geun-hye guilty on multiple counts of abuse of power, bribery and coercion and sentenced her to 24 years in prison. 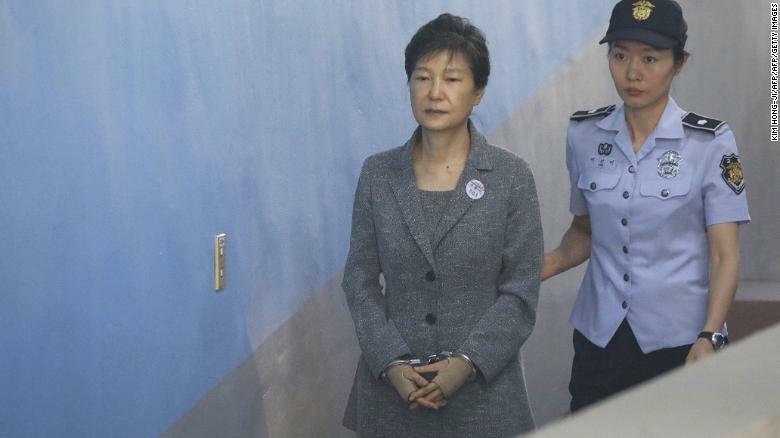 Park’s conviction brings to close a corruption scandal which gripped South Korea, upending the country’s politics and implicating some of the country’s most powerful figures. “The President abused the power which was given to her by the citizens,” the judge said, adding a tough sentence was needed to send a firm message to the country’s future leaders. Prosecutors had asked for Park to receive a 30 year sentence. Supporters of South Korea’s former president Park Geun-hye gather during a rally demanding her release outside the Seoul Central District Court in Seoul on April 6, 2018. Park lawyer’s are expected to appeal her sentence. 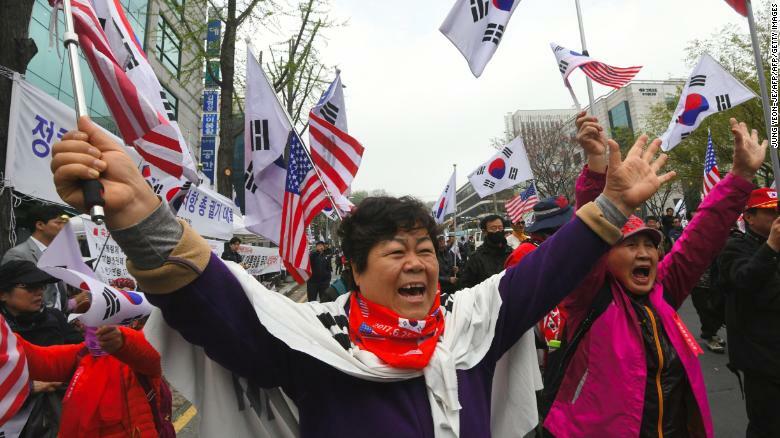 Outside the court, hundreds of supporters of Park had gathered to watch the verdict on a large screen, waving Korean and US flags and calling for the former president’s release. Older, conservative South Koreans, who remembered the dictatorship of Park’s father fondly as a period of strength for the country, were her electoral base and a common sight throughout the impeachment process. Supporters of Park reacted with outrage and anger after she was sentenced to 24 years in prison. 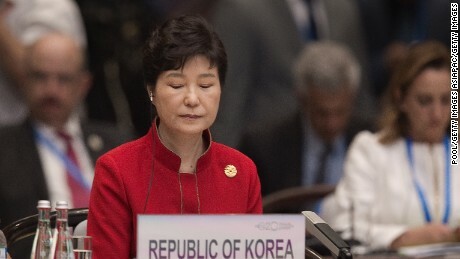 South Korea’s first female president, and the daughter of former dictator Park Chung-hee, Park Geun-hye was arrested in March 2017 shortly after she was stripped of her office by the country’s Constitutional Court, which upheld a parliamentary vote to impeach her. 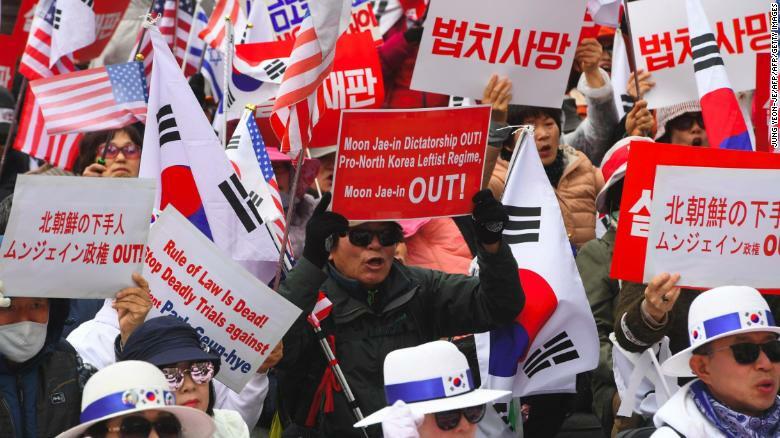 That vote came after millions of South Koreans took to the streets over a period of several months to demand Park’s ouster, after revelations of the alleged massive influence wielded by her adviser and confidant, Choi Soon-sil. Choi, the daughter of a cult leader once accused of having “complete control over Park’s body and soul during her formative years,” held no political office but is accused of using her influence over the President to funnel money to organizations she controlled and get her daughter a place at an elite university. Paula Hancocks and Yoonjung Seo reported from Seoul, South Korea. James Griffiths reported and wrote from Hong Kong. CNN’s Sophie Jeong and Sol Han contributed reporting.